Experience one of Canada’s most tranquil city parks in Vancouver. 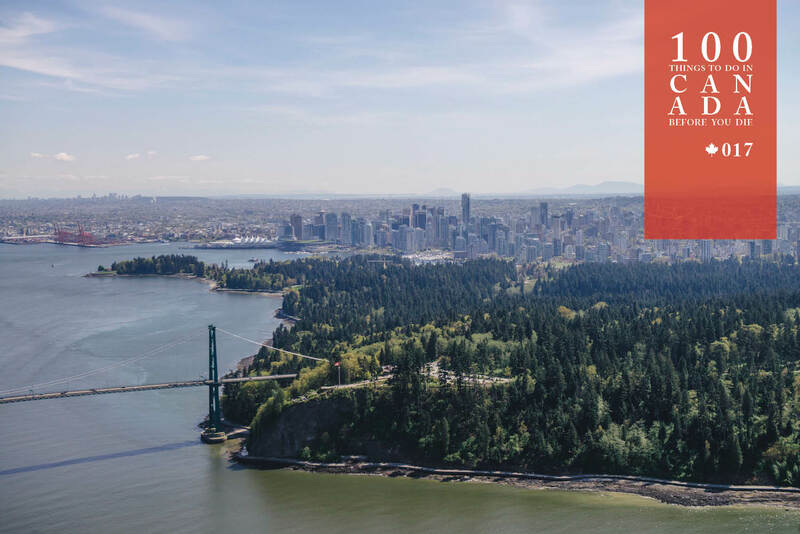 Vancouver’s Stanley Park offers myriad recreational opportunities, be it swimming off one of its pretty beaches, strolling in the botanical or Chinese gardens, marveling at the many landmarks and totems, or relaxing on one of the beautifully kept lawns. Totem poles in Stanley Park. But the best way to experience all 400 hectares of the peninsula is atop a rented bicycle, as the park has an intricate system of purpose-built pathways – including a fringing 10-kilometre loop, ideal for running, which is around the seawall. One of Stanley Park’s lovely paths. 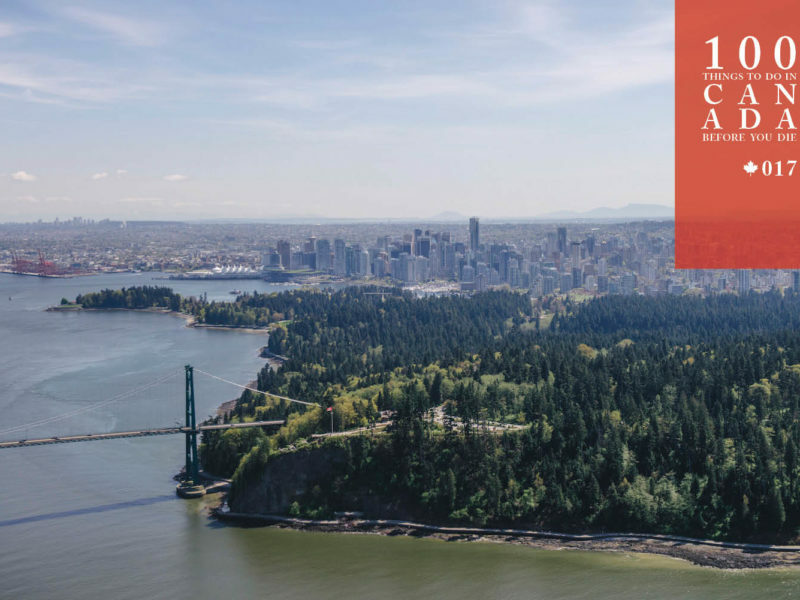 Offering stunning views of the city to the south, Vancouver Harbour to the east, Lions Gate Bridge and the mountains to the north and sparkling English Bay to the west, walk the entire loop in a leisurely three hours, or knock it over by bike in just over one. Vancouver’s Stanley Park from the air. There are many opportunities to picnic, sightsee or tackle a dirt mountain-biking track. Spokes Bicycle Rentals has been offering high-quality bikes for rent since 1938. Travel there with APT Touring. MS Maasdam Cruise Ship on the St. Lawrence River.